Instant pudding: I just love instant pudding, (chocolate of course), with whipped cream and a sprinkle of pecan nuts. But we all know that it’s not so healthy with lots of additives. 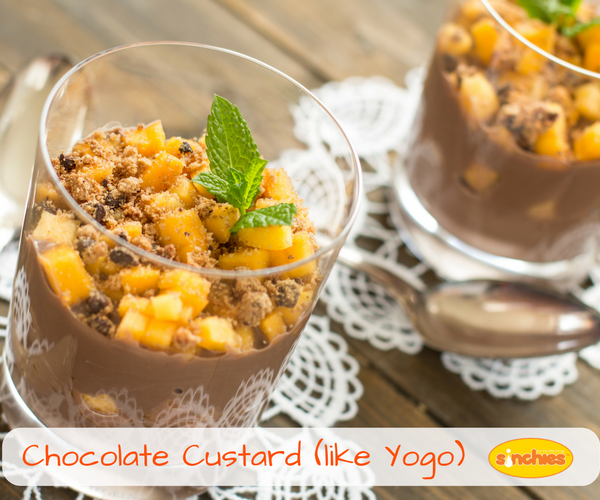 So, when the craving for instant pudding comes along, what can you make that’s healthier? Here’s the perfect solution! Previous post: Additives and Preservatives: What is MSG? Next post: Additives and Preservatives: What is Tartrazine?